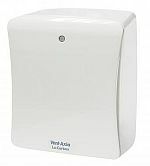 The Solo Plus LoWatt range from Vent-Axia has been specially designed for through the wall and ducted applications, suitable for internal bathrooms, WC's and other small rooms. 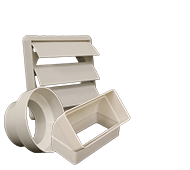 Finished in white, the Solo Plus LoWatt can be flush or surface mounted, with a 2-position 100mm circular spigot for rear entry or connecting to a vertical ducting system. 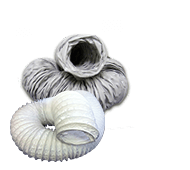 The powerful centrifugal forward curved impeller allows installations using 100mm ducting in straight runs up to 50m, whilst still achieving 54m3/h as required by Document F of the current building regulations. The new Solo Plus LoWatt has an adjustable boost speed which is set at installation variable between 57-105m3/h for boost/override operation to meet Building Regulations thus ensuring minimum energy usage and low sound levels. 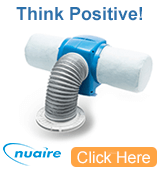 All models have an optional speed for constant trickle ventilation (25m3/h), selectable at installation. 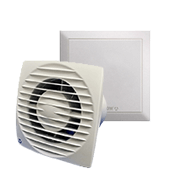 Depending on the model, the fan will switch from trickle (if selected) to boost via the pullcord/light switch/humidity sensor/PIR. 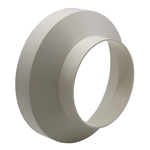 Incorporated into the Solo Plus LoWatt is a highly efficient DC long life ball bearing motor. DC motors offer the benefit of over 80% efficiency over conventional shaded pole motors within their class. 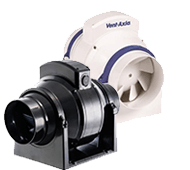 The fully enclosed motor is fixed onto a 3 position anti-vibration mount which offers higher reliability and lower noise. Flush or surface mountable. Control by Pullcord or from light/remote switch or sensor. 2 Speed. Constant trickle option. Adjustable boost. In-built LoWatt controller. Flush or surface mountable. Control by room light or switch. 2 Speed. Constant trickle option. Adjustable boost. Adjustable timer overrun. Delay on timer. In-built LoWatt controller. 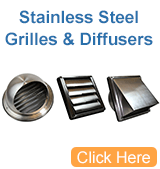 Flush or surface mountable. 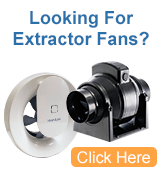 Humidity controlled auto-variable speed 2 fan with pullcord. Constant trickle option. Adjustable boost. Adjustable timer overrun. Delay on timer. Adjustable humidity sensor. In-built LoWatt controller. Flush or surface mountable. Control by integral PIR detector. 2 Speed. Constant trickle option. Adjustable boost. In-built LoWatt controller.